Through regular revisions and controls by experts, such as Instituto Cervantes, SLC offers and guarantees the highest quality in all areas. We are committed to review the language programmes, the accommodation and all other activities regularly and strive to make improvements. Especially the well-being of the participant is particularly close to our hearts and we promise to make your stay as pleasant as possible and are available for any requests at any time. The SLC team guarantees that our offers and descriptions comply 100% with the reality. You can see details of the controls and safeguards of our quality anytime from the data of the responsible control organisations and inspection agencies. WHY STUDY SPANISH IN A SCHOOL RECOGNIZED BY THE INSTITUTO CERVANTES? The network of educational organisations consists of institutions that are tested and approved entirety by the Instituto Cervantes. The language centres form the network of partner facilities of the Instituto Cervantes, if they are located outside Spain, and the Federation of Recognised Educational Institutions of the Instituto Cervantes, within Spain. SLC has been accredited by Instituto Cervantes, which means it meets the conditions set by the Instituto Cervantes Accreditation System for Centres, the only international accreditation exclusively focused on the teaching of Spanish as a foreign language. The facility meets all quality requirements to teach Spanish as a foreign language. The establishment meets the applicable statutory requirements to carry out the teaching. The school has cutting-edge, high-quality teaching and learning materials. Teachers have a professional and academic education in the foreign language teaching. The school has a didactic pedagogical system, which guarantees a learning success. The institution sets a maximum number of students per class, to promote the individual learning process. The advertising of the offered services are truthful and are fully realized. The school describes in detail the exact prices for the programmes and the additional services. Complaints, or requests of any kind will be accepted, processed and answered immediately. FEDELE is the Spanish Federation of all the Associations of Schools of Spanish as a Foreign Language and it consists of 7 associations, which in turn comprise a total of 90 Schools of Spanish as a Foreign Language. FEDELE’s main objective is to promote a status of quality in the Teaching of Spanish in Spain. All federated schools have obtained at least one of two quality stamps in the field of Spanish Teaching (Accreditation Certificate from Instituto Cervantes or from CEELE). The most important lines of work that FEDELE operate in, with the support of our member schools, our institutions and our partners are: Training, Promotion, Business development. 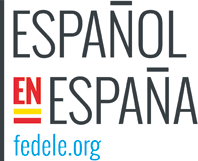 The two Spanish organizations most directly involved in the promotion of Spanish around the world and in the spreading of the Spanish Language and Culture, TURESPAÑA and INSTITUTO CERVANTES, have both subscribed a cooperation agreement with FEDELE since 2004. This agreement contemplates a global policy on quality and on the international promotion of Spanish studies. 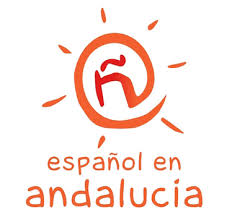 “Español en Andalucía” (EEA), the Andalucian Association of Schools of Spanish as a Foreign Language, represents accredited Spanish language schools which offer a wide range of Spanish Courses in the most interesting areas of Andalucia. The main aim of “EEA” is to guarantee the Quality of the Teaching. 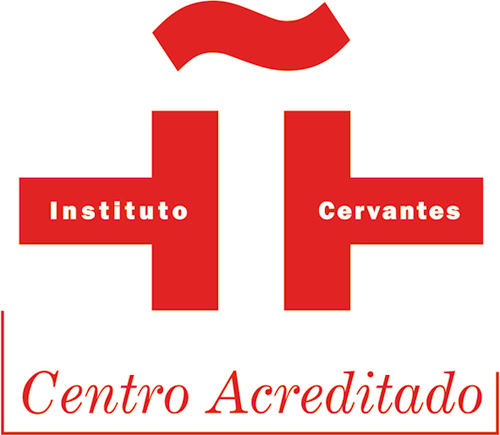 All the member schools of the Association have achieved the status of Accredited Centres of the Instituto Cervantes and they must all pass regular inspections of their teaching methods and professional standards. This guarantees that the teaching offered by the centres always meets the highest standards. EEA represents its member schools at local, regional and national level. This means that our Association maintains close links with the Andalucian Regional Government, as well as Spanish Tourist Offices, embassies, consulates, universities and other official institutions around the world. “EEA” also co-operates with the Chambers of Commerce of some of Andalucia’s provincial capitals, enabling our students to take the official commercial Spanish exams. The IAPA was founded in 1994 to give service and guidance to young people who wish to work as au pairs abroad. Also IAPAs aim is to help host families who require these services. In addition, it provides access to a network of highly professional organizations, which provide these cultural exchange programmes. Since its inception, the IAPA has been setting the standards of high quality and excellence for the au-pair industry and is one of the most experienced and renowned organizations in this area. The IAPA is an independent association within the legal framework of the FIYTO (Federation of International Youth Travel Organizations) where you will also find ALTO (Association of Language Travel Organizations) which is also in cooperative relationship with IAPA. Our school and study programmes are accredited by CSN (Central Committee of Financial Aid for Students) from Sweden. 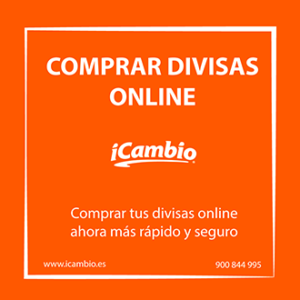 This entity is administered by the Sweden educational organism, which grants loans and economical aids for the studies, what is an important support for Swedish students who want to learn or improve the Spanish language in Spain. The Swedish organization CSN confirms the high quality of our Spanish courses and our Swedish students will be able to receive scholarships to participate in any courses that we offer during the year. Bindungsurlaub is a grant that local and regional German governments give to qualified professionals in different areas. They are “Additional leave” which employees can take advantage of in the form of linguistic advancement for those who want to improve their knowledge in languages and in other fields. In the case of languages the grant consists in a Super-Intensive Spanish Course, 6 hours per day with a total of 30 hours per week. People who are granted are professionals with high cultural and professional level. The conditions and requirements for this grant are stablished by the different German governments.